Tennessee – Democrats from five counties in Tennessee held press conferences on June 16, 2017 to call out Senator Corker and Senator Alexander for the secretive process of the US Senate health care bill and the devastating impact the Republican AHCA, passed by the US House of Representatives would have in Tennessee. 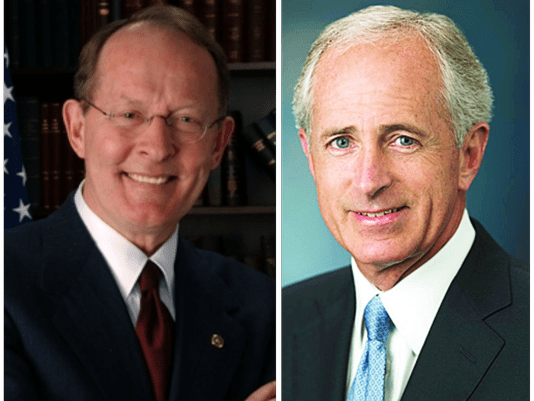 “Our US Senators, Bob Corker and Lamar Alexander are not listening. They are not available, and they are not accountable. Back in 2009, Senator Corker loved to hold a lot of town halls on healthcare, he said they were a great thing. 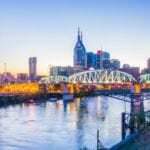 Now he is not hosting any town halls,” said London Lamar, president of the Tennessee Young Democrats. “We are calling on Senator Corker and Senator Alexander to be accountable to Tennesseans. They are not available and they are not transparent. They are participating in negotiating the healthcare bill in secret, and we think that is wrong,” said Matt Ferry, chair of the Rutherford County Democratic Party. “We have tried to get our Senators to come to Maryville College and talk with students, but the last time Senator Corker was in town was for a fundraiser. Senator Corker and and Senator Alexander, you are up in DC talking with each other and lobbyist, we are pleading for you to come talk to us.” – Will Winters, student at Maryville College. “We really need to come together, not look at this as a partisan issue, but understand that some of the changes that are being recommended, and understand that it’s not transparent. We can’t even respond effectively because we don’t know what is being proposed,” said Rep. JoAnne Favors.